Aubrey Hord Photography: The opportunity to work with Randy Jay Braun. The opportunity to work with Randy Jay Braun. It is not often you get the opportunity to work with someone who is a master in their field, and a lot of fun to be around as well. 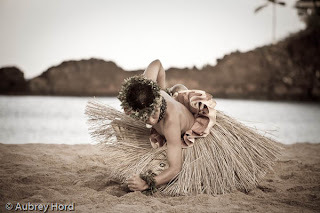 I was invited to join one of Hawaii's premier fine art photographers, Randy Jay Braun http://www.randyjaybraun.com/, on a few photo shoots recently as he was capturing the art of traditional Hawaiian hula dance. 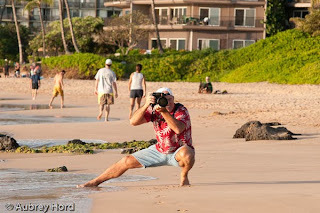 I had met Randy before and at attended sessions taught by him at the 2009 Maui Photo Festival http://www.mauiphotofestival.com/ but was both honored and humbled when he invited me to shoot alongside him and learn about his distinct style. 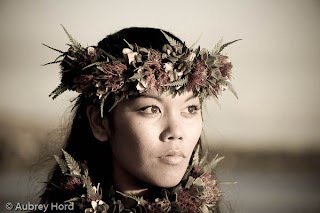 Randy has photographed the young male (kane) and female (wahine) winners of the prestigious Hula O Na Keiki competition every year at the Kaanapali Beach Hotel and you can see his images from the past 25 years gracing the front lobby of the hotel. I had the opportunity to join him the morning after the competition to photograph the young winners on the beach at Kaanapali. 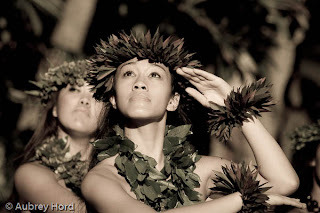 He has a way of capturing the grace, movement, pride and tradition of hula both both inside and outside of formal settings. 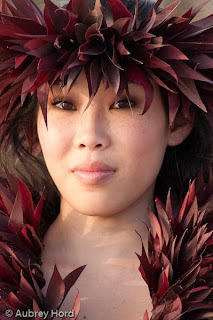 He also has an amazing eye for detail and sense of place when capturing Hawaiian landscapes. His images have graced magazines, websites, merchandise and are in fine art galleries across the state. 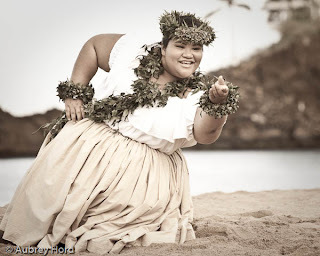 His distinct style of finishing his hula pieces with an aged look, makes them appear timeless and truly allow visitors and residents to catch a glimpse inside the world of hula. 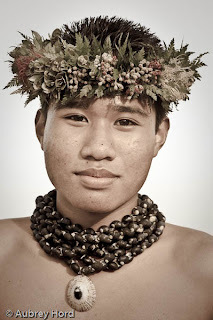 His gallery is located in historic Makawao town right on Makawao Avenue. When Randy called to ask me to join him again on another shoot, I jumped at the chance. He has a way of working with both his team and his subjects to make them instantly feel comfortable and relaxed in front of the camera. He carries himself with a humbleness and quiet confidence which seems to draw people in and make them feel welcome. And constant laughter on "the set" makes it a joy to go to work. Working with him is truly a pleasure. 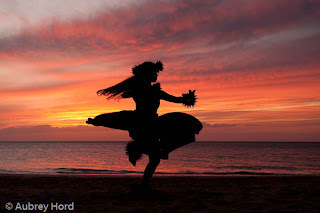 Another session we did was with hula dancers in the sunset on the beach in Kihei. It was a pretty crowded evening on the beach but we made it work and got some great images! I am grateful to Randy for the opportunity to shoot alongside him and hope I have the opportunity to continue to work with him in the future and take a glimpse inside his world of photography. Gorgeous photos as always Aubrey! Can't wait to intern with you again soon! Wow this are all great. I find #2 and 3 to be extra stunning. A great day with Lauren!